Café Miel discreetly sits on a side street close to Kudanshita Station, skirting alongside the moat surrounding Tokyo’s Imperial Palace. While within walking distance to a few big-ticket attractions, including Yasukuni Shrine and the Nippon Budokan indoor arena, the café remains largely ignored by foreigners, thanks in large part to its deceptive facade. Piles of rocking horses, old wooden ladders, tea kettles, and watering pails of all shapes and sizes lay haphazardly outside the entrance, with the word “Miel” in stylized white letters displayed simply above the chaos. The café resembles an antique shop and is easy to gloss over, unless you happen to be in the market for some rustic relics. Yet this cleverly disguised hideaway offers a warm respite from nearby sightseeing spots, with delicious coffee to boot. 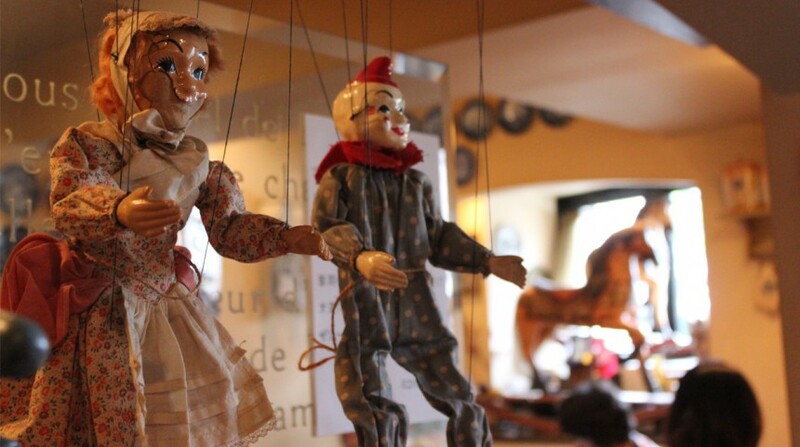 Dimly lit, surprisingly spacious, and oozing with ambiance, Café Miel is indeed overflowing with antiques. 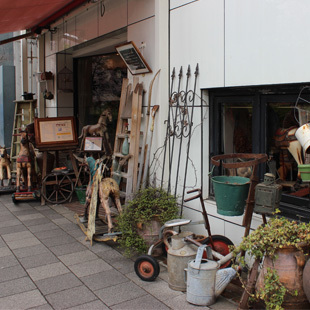 Shinichiro Nakazawa, the café’s owner, opened the establishment in 2003 in order to display his unique collection of antiques, which he had accumulated over the years. 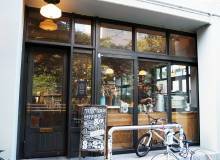 What started out as a hobby turned into the café showroom it is today, Nakazawa explained. 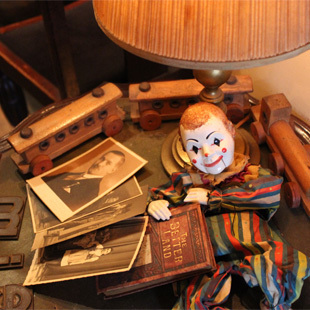 His keepsakes can be admired throughout the café: large clocks frozen in time, marionettes dangling from the ceiling, rows of skeleton keys, and retired cookware. Accompanied by one of the café’s signature drinks, it’s enchanting to sit back in one of the dark wooden chairs and temporarily step back in time. The menu offers an impressive selection of coffee and tea concoctions, carefully prepared behind the bar and served in ceramic cups. The cinnamon milk tea (¥750) and Vienna coffee (¥700) are highly recommended, both delectably aromatic and piping hot. To accompany your drink, try an order of sugary scones (¥550), served, as they’re intended to be, with clotted cream and jam. If you’re so inclined, take advantage of their extensive bar and order a tall Irish coffee (¥800). 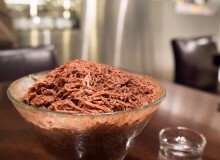 The café is, however, best known for its drinks and desserts, simple pasta, soups, and sandwich dishes, including an inexpensive yet popular lunch set of beef stew and fresh rolls (¥1,380). No English menu is on hand, but a few staff members speak limited English and can help you with your order. Lunch hours and weekends can get quite busy, so be prepared for a bit of a wait. Every few months, Café Miel holds predominantly jazz and tango live music events, which are regularly promoted on their Facebook page. Café Miel. 2-2-8 Kudanminami, Chiyoda-ku. Open Mon-Fri, 9am-11pm; Sat, 11:30am-6pm (closed Sun). Tel: 03-3262-8878. Nearest station: Kudanshita. 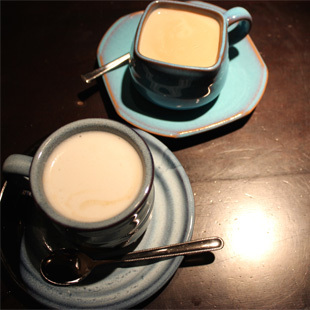 www.cafe-miel.jp.